ChaosLife is a semi-autobiographical comic. It focuses on a queer relationship between A. Stiffler and K. Copeland, who create the comic! It also delves into politics, GSM issues, mental health, pop culture, cats and other randomness. Since its debut in 2011, ChaosLife has been featured in numerous publications, including The Washington Post, The Discovery Channel’s Official Blog, The Australian Broadcasting Company, WIRED, Neatorama and MSN Japan, among many other online and real-world venues. ChaosLife updates once a week, at least! A. Stiffler is a professional artist, comic illustrator and graphic designer. Residing in Columbus, Ohio with two cats, they enjoy life to the fullest, even when it’s chaotic. You have quite an extensive FAQ on your site. You’ve obviously delt with a lot of questions. To turn that on it’s head, can you tell us about some of your fondest/most positive memories interacting with readers? 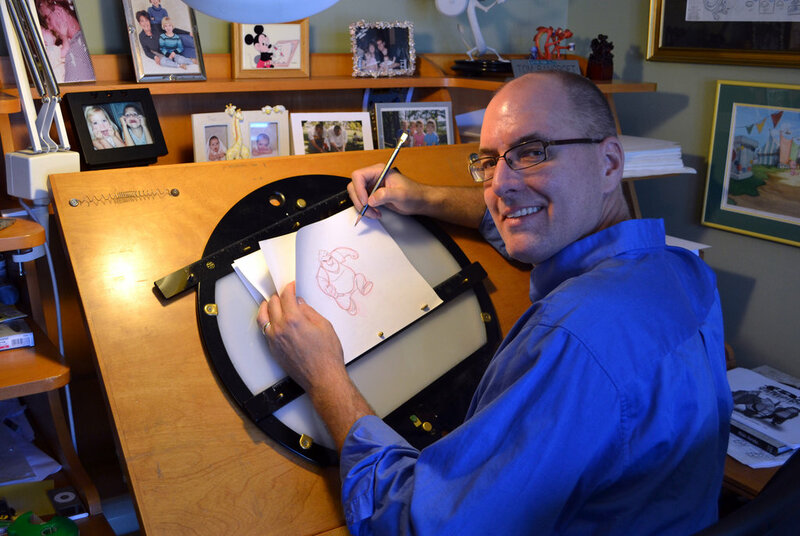 RE: New studio setup (May 27, 2013) – Where did you get that awesome drawing stool?? Process question: Your line art and texture vary from comic to comic. Care to share some of your favorite Photoshop techniques? Follow up: Do you just “play” until you hit something you like? How do you divide duties on the comic? Who does what? Follow up comment if not addressed: Possibly challenging in print given the different layouts to the comic each week. You have a self-confessed love for horror films. Any faves? Find Chaos is visually gorgeous, but I have to admit that the story is a little tough to follow. Will there be a primer of sorts at some point, or is the audience meant to discover the setting along with the character Mary? You maintain two VERY different comics. Have you experienced any negative feedback from fans of one comic not caring for the other? Good interview. I think CCTC is one of the better comic artist interview podcasts for introducing artists which might otherwise go undiscovered by webcomic readers like me. Special note to Stiffler and Copeland: I especially enjoyed two of the short story comics, Every Day and Forever. Good stories. Good art. I think more webcomic artists should look to inlcudingseveral shorter self-contained stories as it allows the first time reader a chance to be introduced to your art without having to understand the back story and characters. I think yours are very good. I would like to see/read more of them. CCTC, noticed this since last week. It was difficult to find the podcast. The listener has to go to Comments to find the player.